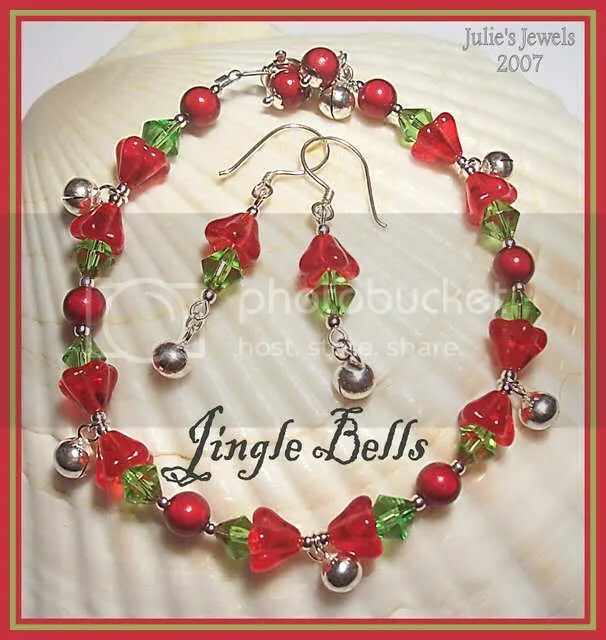 It’s about time that I started to show some of my Christmas Designs – these are all available for reorder and can be made in any color combination you would like. 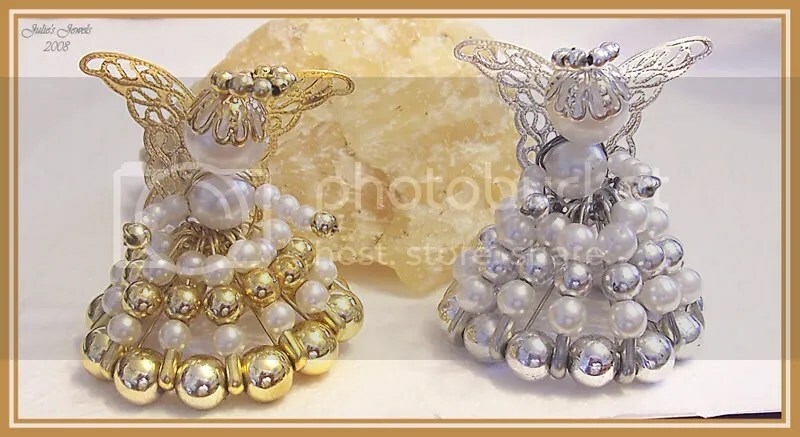 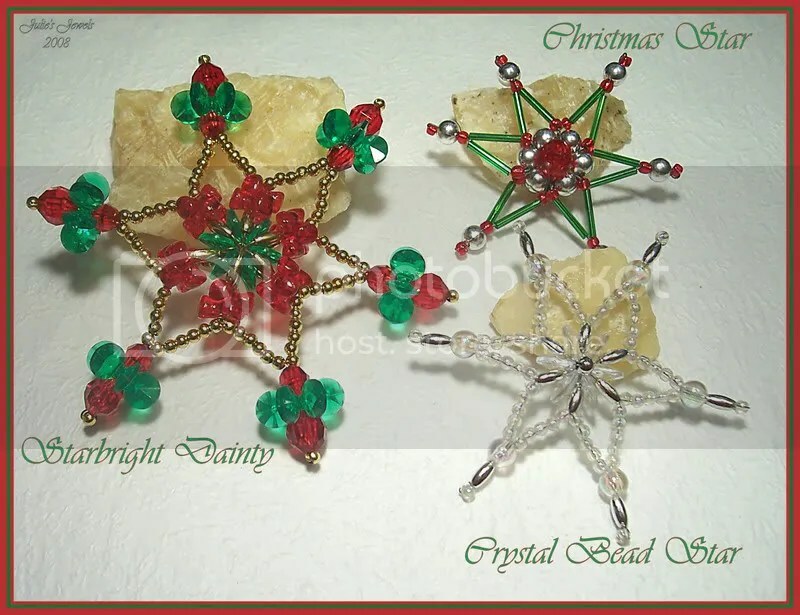 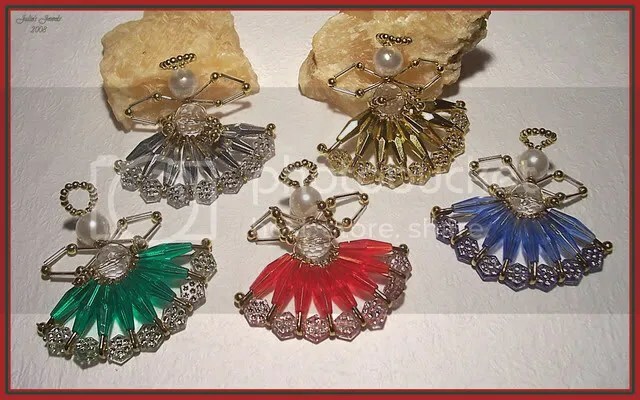 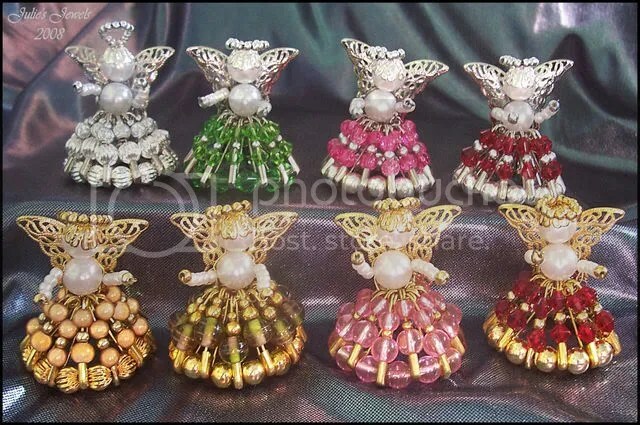 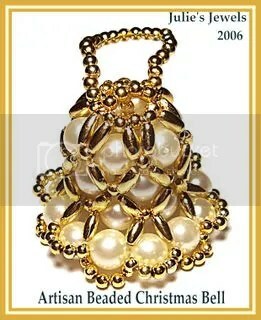 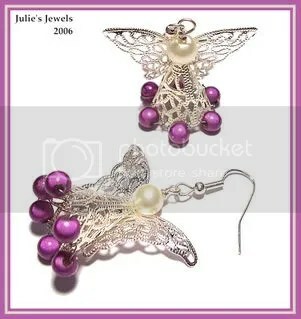 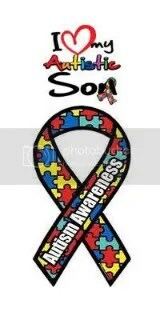 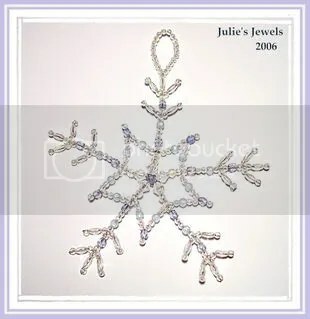 These decorations are created with Acrylic beads unless otherwise stated with the images. 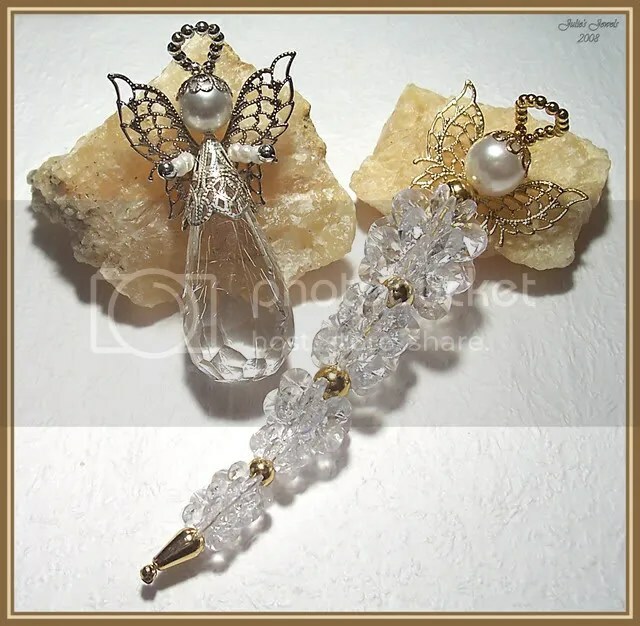 This Crystal Angel was a practise run with a really old acrylic crystal – that’s why it’s crazy cracked. 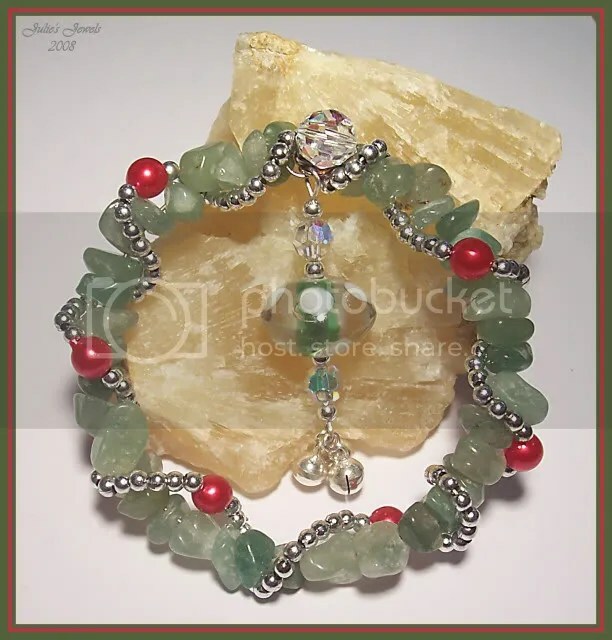 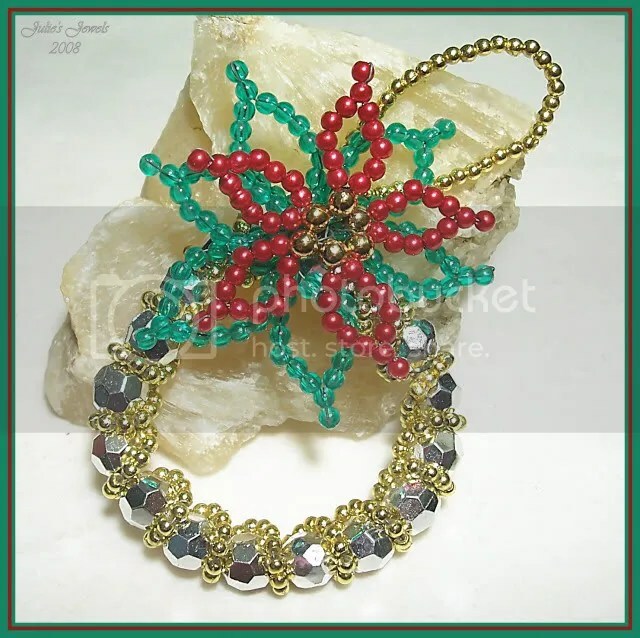 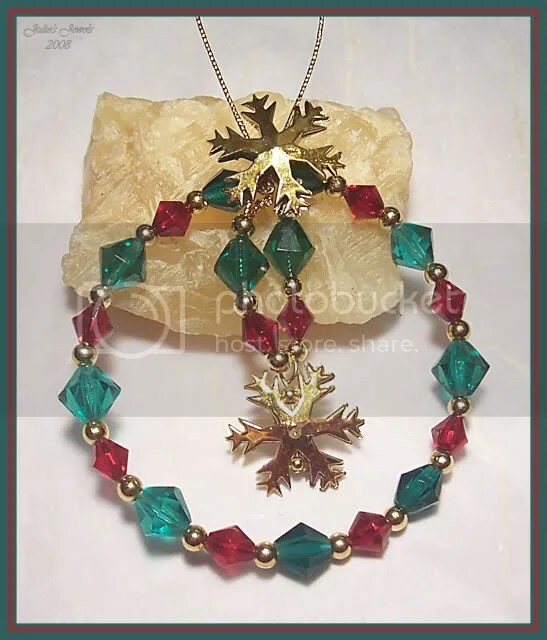 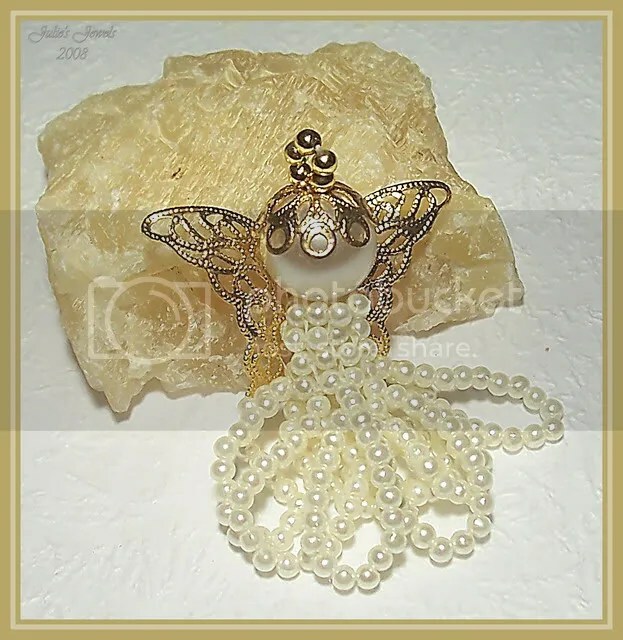 This looks gorgeous made using a Crystal drop bead. 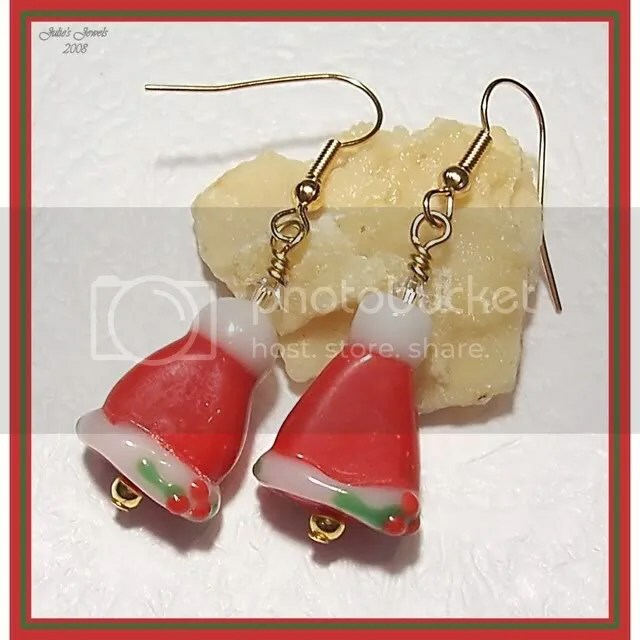 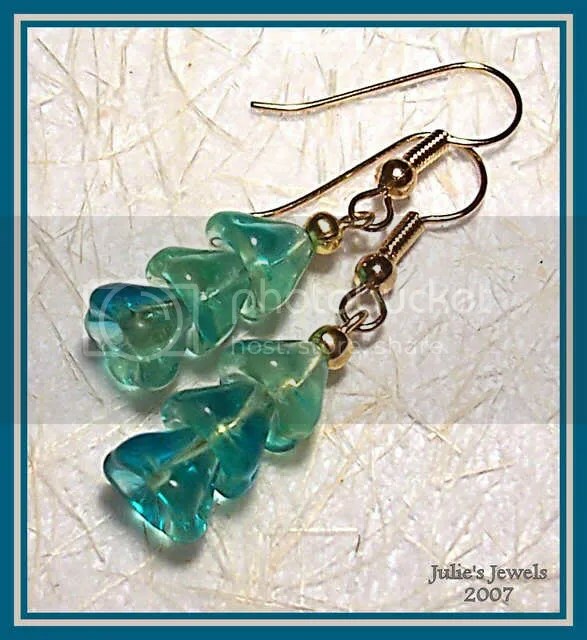 I can’t leave out the Christmas Earrings – now can I!!! 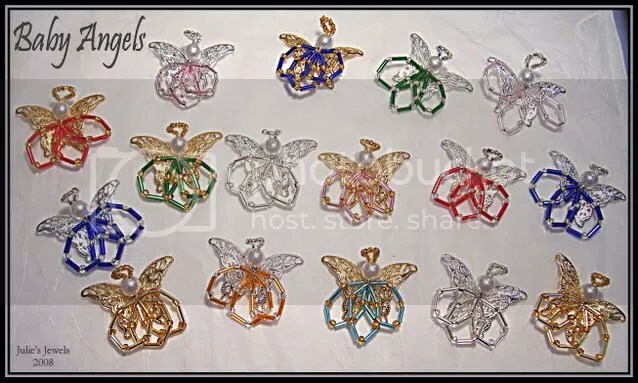 These are all glass beads.